7. 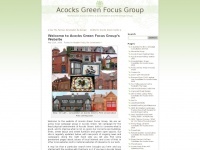 Our Com­mu­nity Vi­sit to Acocks Green Poli­ce Sta­tion /2018/07/05/our-com­mu­nity-visit-to-acocks-green-p..
9. Con­ser­va­tion Area Col­la­ge for Hea­der Pic on Web­site /wp-con­tent/up­loads/2009/05/Con­ser­va­tion-Area-Col..